Summer's been quiet here in our home. With good reason too. This is the first summer we have taken a break from sports. Usually my son plays baseball year round. Due to an injury, we were forced to take the summer off to allow him to recover. I wasn't happy about it first, I mean what were we going to do? Our life literally revolved around baseball. 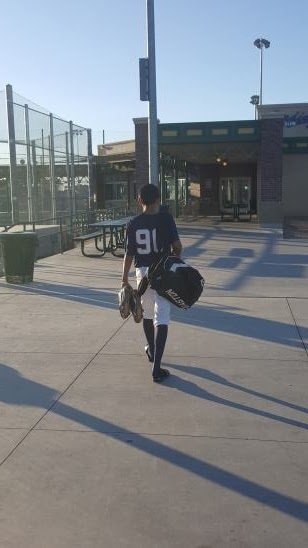 Then as the weeks of summer passed by, I realized how important it really was for him to take a break, not only to fully recover from his injuries, but playing year round is really not necessary for kids these days. Parents today, push and push their kids, year round, not taking any time off, letting their kids get some rest or even pursing a different sport. I was guilty of that and this injury forced me to take a step back and just let him be a kid. Since he started playing club ball, some of his coaches have been ex-major league players. They have given some great advice and agree that today, parents just push their kids too much and that is why you see younger MLB players not being able to play as many years as they use to back in the day. Before kids use to play one sport in the spring and one in the fall. Or even just play spring baseball. Today kids play so much that they wear their arms out and end up with a not so lengthy career, if they even get that far. There's a good percentage that even end up having to have surgery before they even hit their senior year of college. Our son is 13 and plays club ball. He has been playing for about eight years. He plays second base and is a monster on the field. Over the years I have learned his style and what I can do to support him. When he has a bad game or just a bad day, he shuts down. He knows what he did wrong and how he played, so there is no reason for me to get on him. I am sure he replays the game in his head and knows what he needs to work on next time. 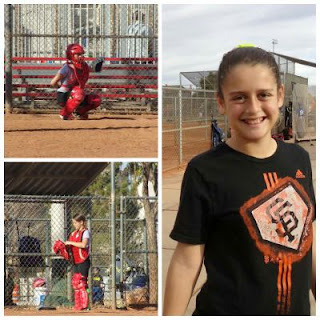 My daughter is 12 and plays fast pitch softball. She has only been playing for about four months. I am so proud of her! She stepped up and took on the hardest position on the field - catcher. She is a natural at it! For only playing for four months she rocks! She still has things to learn and work on and as time goes by I am excited to see where it takes her. She is total opposite of my son. When she is out there and has a bad game or is behind the plate missing every ball, she will get embarrassed and upset and sometimes start crying once inside the dugout or after the game is over she will become emotional. She is one that needs that hug, that encouragement to pick her head up and get em' next time. Let the coaches coach, don't be that one on the side line telling your kid what he "should" be doing. Stay away from the dugout during games. As hard as it is, again, let the coaches do their jobs. Make sure your child has water and everything they need before the game starts. Never talk negative about your child's coaches in front of your kids. Stay quiet and don't yell negativity at your child while he's on the field. Your child has enough stress on him during the game, especially is he's an older child - when my son was younger I was that loud mom yelling from the side line. Finally one day my son told me "Mom, please don't yell anymore, it just makes things worse." I respect that, and now I just sit quietly on the side line, cheering my child on. Don't live your dream through your child. I see that a lot - too much. 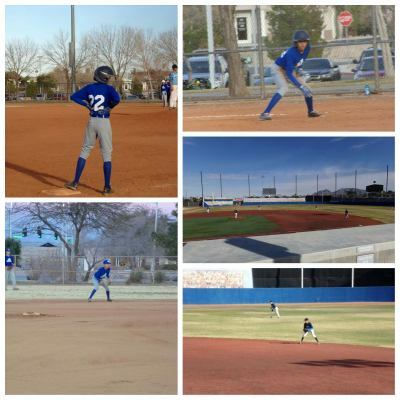 Dads living their sport dreams through their children. Let your kids create their own dreams, even if it comes time that they no longer want to play or change sports - let them and support them! After so many years of baseball, I can literally go on and on, but I thing that main thing that we can all remember is just support your kids. Love your children. Support them the best way you know how and if you're not sure - ask your child. Find out what it is they need from you in order to help them be successful. Just don't get your feelings hurt and remember they are their own individual, living their dreams.